When you’re ready to reduce your energy consumption and save some money you should know that you can start with small steps like lowering your thermostat’s temperature even by just a single degree. However, the real monetary savings comes from changing your lighting fixtures to high-efficiency industrial ones (e.g. high-pressure sodium, a.k.a. HPS; high-intensity diode, a.k.a. HID). Doing so could cut your electric consumption by as much as 90%, saving big companies in America as much as $3.6 billion per year. This doesn’t include the fact that these bulbs last longer – often up to a decade or more. There are several reasons for this. Industrial LED lighting fixtures deliver as much as 60% more light from their source. This is because they’re able to get more lumens per watt in comparison to HPS or HID lighting. You can also configure them in such a way that the lighting is directed precisely where you need it the most so that you don’t waste light in other areas (e.g. critical areas such as on the ground instead of wasting it on the walls, or ceiling). This will typically result in 30% more light being delivered to these areas while using less fixtures and thus spending less money. While HPS fixtures require extra time to warm up before they come on fully and give you all their light, industrial LED lighting turns on instantaneously and gives you immediate lighting the moment you flip the switch. This is why you can easily use smart controls (e.g. occupancy sensors, daylight harvesting sensors, programmed dimming, configurable lighting schematics) with them. All these will help you further drastically reduce the amount of burn time whereas with HPS lights you must leave them on 24/7 or you will have this burn time which you don’t want since it’s an obvious waste of as much as 50% of your energy per day. Every 24,000 hours you’ll need to replace your conventional HPS bulbs – if not sooner, especially in harsh environments such as those with high vibrations. Routine maintenance like this will add even more to your energy bill because you will have to use things like mechanical lifts and supplemental lighting. You may also lose money by closing production until you fix your lighting. Of course, these are all things you won’t have to worry about with industrial LED lighting because they last 100,000+ hours, which means you won’t have to do any maintenance on them for 10+ years. The amount of money you’ll save by switching from HPS lighting to industrial LED lighting extends beyond your direct energy expenses. This is especially true if you’re concerned about reducing your company’s carbon footprint. With LED lighting you won’t have to buy carbon credits to offset your HPS lighting’s emissions. You also won’t need to pay for any additional hazmat handling costs that are associated with disposing of conventional HPS bulbs, which contain 5mg – 50mg of mercury. Of course, you probably already realize that sustainable operations are also good for business. In fact, there’s about $1.2 trillion worth of opportunity available for companies who publicize their efforts in regard to sustainability. To check out the wide number of industrial LED lighting fixtures that are available today, contact America’s Best LED. 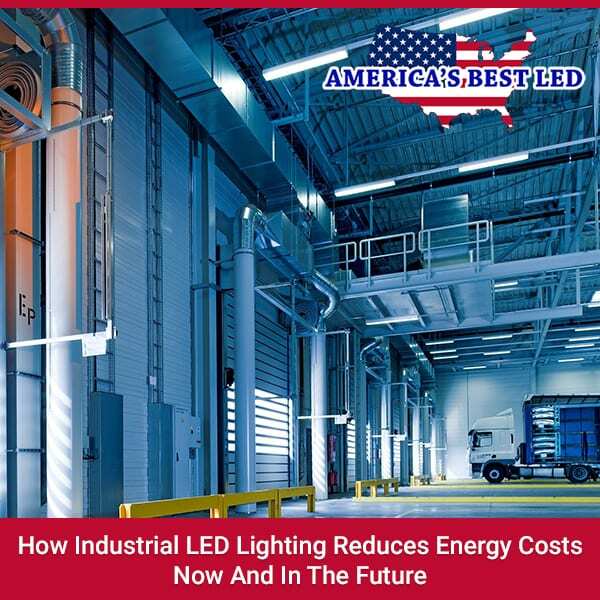 Investing in these high-performance, high-efficiency industrial LED fixtures is the most efficient way your business can cut its energy costs and improve both its efficiency and its sustainability at the same time. With this in mind, you should definitely get in touch with them today.